Wainwright's Coast to Coast Walk is by far the most popular long distance trail in Britain, and one of the world's great walks. From the Irish Sea at St. Bees Head, it winds its way across northern England, 190 miles or so, to the North Sea shoreline at Robin Hood's Bay. On the way it passes through three National Parks: the Lake District, the Yorkshire Dales and the North York Moors. Almost everywhere the landscape is varied, full of interest and beauty. From seaside cliff tops the trail crosses high mountains and lakesides, heather moors and deep cut valleys, green rolling hills and gentle river tracks, calling at charming villages and towns along the way. It is an exhilarating adventure, and once completed is an achievement that will remain fondly in the memory for the rest of your life. 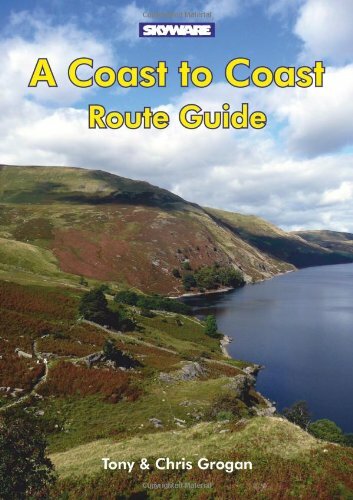 With full colour large-scale strip maps of the entire route, this guide will make the practical task of route-finding easy.